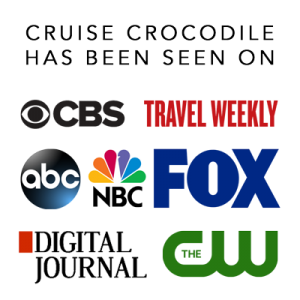 Our Flam cruise port guide gives you information about the docking location, cruise dock, transportation options and much more! 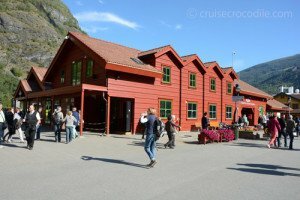 Welcome to the Flåm cruise port guide. Flåm might just be that little piece of paradise on earth. Good or bad weather, this port will not fail to amaze. It is a tiny little place where about 450 people live year round. The town exists out of a couple of buildings that gather themselves around the cruise pier and train station and that is basically it. The town of Flåm is not the reason why cruise ships come here so often. The reason they call here is because you will be face to face with the true Norwegian fjords and landscapes. Western Norway is famous for unique and stunning fjords. In this case your ship will need to leave open sea and go into the Sognefjord. With a length of 205 km this is Norway’s largest fjord and 3rd longest in the world. You simply cannot wrap your head around what force was able to create something so immense. Once you arrive in Flåm you are facing your typical Norwegian fjord village: small, isolated but an incredible scenery. This is why you are in Flåm and why you are in Norway. Do not miss this opportunity to explore the Norwegian landscapes and the fjord culture. What makes Flåm even more unique is the fact that one of the most beautiful train rides in the world start in Flåm. 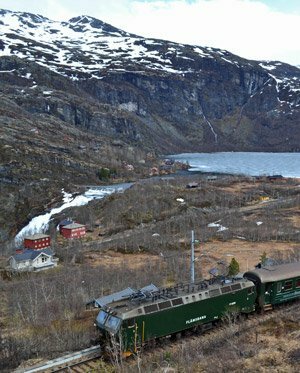 Most visitors will therefore choose to take the 1 hour journey up to Myrdal (end station) and take that same train down to Flåm again. Learn more about the train, also known as Flamsbana, in the sections underneath. As soon as your ship docks this will be your view for the day. The buildings you see on this pictures are basically the only buildings in town and therefore we can only recommend anybody visiting Flam to not just stay in town because you are missing out! Be enchanted by you view, but make sure to see more than this! There are a couple of internet connections available in the local bars and cafe’s in Flam, although the most popular WI-FI spot is available on the dock. The port of Flam provides free WI-FI for passengers and crew. Look for the grey building you see on the picture. The WI-FI room is located in it. The tourist information building is located about 300 meter from your ship. It is located inside the train station. This entire building is where to book traintickets, tours, busses, rib-cruises, bycicles etc. Get some good information beforehand om www.visitflam.com/en From port it is about 300 meter walk. In Flåm there is 1 pier large enough for cruise ships. Flåm is often visited by more than 1 ship at the time. Visit the following link if you would like to know if your ship will dock or tender. For 2017 arrivals visit: http://aurlandhavn.no/cruise-2/ship-arrivals-2017/. Check the map above to see the location of the cruise pier and tender platforms. You’ll see that both options will get you straight into the “centre” of town. The reason why centre is written in quotation marks is because the centre of Flåm is extremely small and you want to make sure to get out of there to enjoy the beautiful scenery. The train station and tourist information are both just a 200 yard away and you’ll find that the facilities are plenty and well arranged here. Because Flåm is such a small town the facilities when it comes to transportation are limited. There is the occasional local bus that we would not recommend you to take, because it might go once a day. Taxis are limited as well and are in general not the way to get around in Flam. – Can I buy my own tickets for the Flamsbana? You certainly can, but rather book in advance than at the station as the train could sell out. Check out our section about the Flamsbana to learn how to preorder the tickets. – What is our current elevation? Just because the ship is surrounded by mountains, doesn’t mean we are not at sea level anymore. – Is Global blue service available at Flam? Most shops offer Tax Free or Global Blue formd when making a purchase over 350 kr. Sometimes the service is available in Flam, depending on your itinerary. Check with your front office staff if this will be the case for you. – Are there toilets in the tour busses? No, unfortunatly there are not. – Is the train wheelchair accessible? Yes, it is. Notify the train staff for assistance. – Is fishing in the fjord allowed? Yes, it is. You do not need a permit. Your ship will be in the Sognefjord (3rd largest fjord in the world with a length of 205 km) for about 8 hours before it reaches Flam. This is a spectacular journey that you definitely don’t want to miss. Be sure to be on the outside deck in this part of the voyage. The fjord gets more spectacular the closer you get to Flam. It is best to be on the outside deck an hours before arrival and the hour after departure. Click here for our Cruise the Sognefjord guide and learn all about what to see along the way. This is the Flam cruise dock. The dock is conveniently located near the train station and there are lots of facilities close by like bicycle rentals, souvenir shops, bank and tourist information. 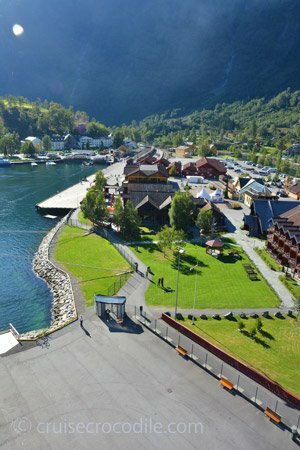 Read all about what to see and do in the Flam cruise port guide. Aegir Brygger is Norway’s famous craft brewery. This local establisment brews 21 different types of beers which won prizes around the world. 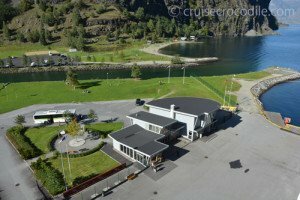 Ægir BrewPub is located right near Flam’s cruise dock. The building is completely in Viking style and resembles a Stave Church. Inside you will find a bar where you can sit down at the fireplace and taste what our local beer brewery has to offer. For just a little under 150 kr. you will get 5 samples of some amazing beers or simply come in for lunch! Find the brewery in across Flam’s cruise dock. This museum, right next to the train station in town is a great way to actually learn how and why the Flamsbana was created. For those of you not just interested in the gorgeous views from the train you can learn about the decisions and challenges the Norwegians were up against when building the Flamsbana beginning 20th century. From port it is about 300 meter walk. Find local food specialities at Flam’s supermarket. The area of Flam has quite some interesting and delicious local food products to offer. Visit the Coop supermarket about 200 yards from your ship to buy your local salmon, salami, goat cheese and much more. In the store, search for the “Local food” stand. Everything on it is produced in the area. Especially the brown goat cheese has a unique flavour. It is a caramelised goat cheese that is produced in the mountains about 15 km from the port. From port it is 200 meter walk.